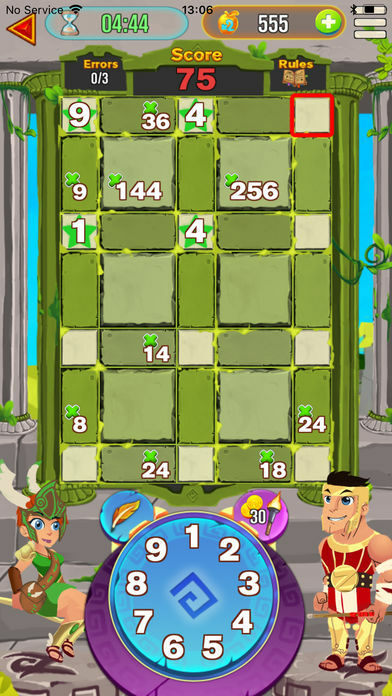 A clever app that teaches mathematics and number skills through a puzzle based game. Users must use both multiplication and addition as their core skills, but also understand their respective inverses (subtraction and division) to solve a variety of problems. An alternative approach to practicing and using basic number skills and finding common factors. 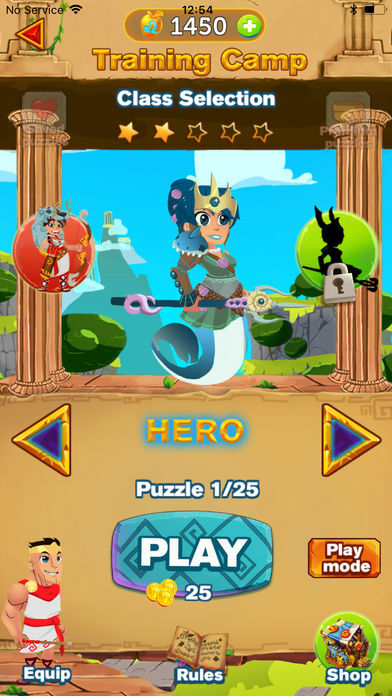 Upon opening this app, users are first asked to allow the app to link to ‘game play’ and shown a short introduction briefly explaining the game play. After which they are presented with two path options “Light” and “Mortal” which can be changed later if needed. From the next page, the navigation is comprehensive with perhaps too many sub-menus. However, the main two buttons are “Play” (Training Camp) which allows children to play a range of puzzles of varying difficulty and “Tournaments” (Tournament Hall) which allows them to compete in competitions as an individual or a team. The game play itself is a simple concept; users must find all the missing numbers. However, the actual puzzle involves much more logical and strategical thinking than this. Presented as a grid, each missing number is made from a result of a multiplication and an addition. Generally, these are shown, allowing the user to easily identify this number, for example, if the number 4 is seen alongside x12 and +7, the result would be 3 because 4x? =12 and 4+? =7. However, for some areas, these numbers are not shown and instead users must use a variety of mathematical operations and/or logic to find these numbers. For example, using common factors: to find a missing number with x54 and x36 on either side, the missing number must be their common factor 9. Although the app is puzzle based, there is a clear consideration of the number skills involved. Children must use both multiplication and addition as a core skill, but also understand their respective inverse: subtraction and division. They must use their times' tables throughout the game and this knowledge is then extended depending on the level of the puzzle. For example, if the children have found three numbers 3, 4 and 5 in a square with a x360 clue, the only way to find the final number would be to find which number alongside these three multiply together to equal 360. This instigates multi-step mental calculations such as 3x4x5=60 then 360 ÷ 60 = 6; alternatively, they may decide to approach the problem by dividing 360 by 3, 4 then 5. Either way, such problems develop mental mathematical thinking. While in Training Camp, the “Rules” button summarizes the four simple rules that all puzzles follow: only whole numbers from 1 to 9; pairs only occur once (those with a unique set of addition and multiplication values); with the exception of a cZeus Square where four identical numbers form a square; each puzzle only has one solution. Players login to the app either as a guest, or through email or via Facebook. For players’ security, they get to choose a nickname, and their email and Facebook IDs are protected. Players who sign up using email or Facebook, their cZeus games will be synchronised on multiple devices and they gain access to their cZeus website portal. Returning to the homepage. “Profile” allows players to join a team, view achievements, and scores. 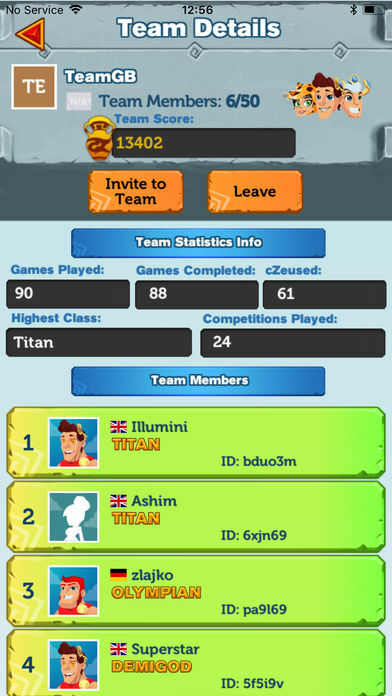 “cZeus Community” allows children to send friend requests to other players directly only to compare game stats on their device, hence no other information is exchanged, and with security of children in mind, messaging between players is not allowed at any point. 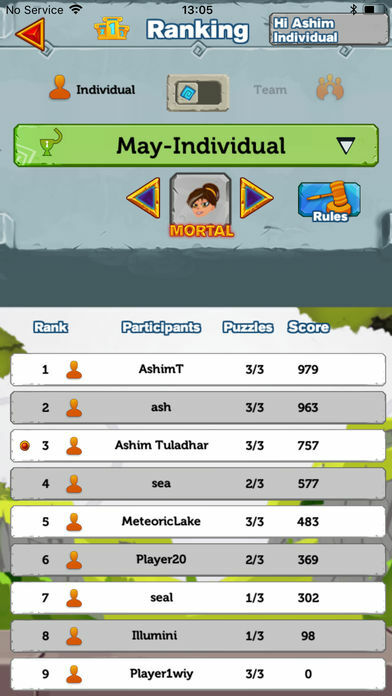 “Statistics” displays best scores, levels completed, analysis, etc., and “Captain” allows children to create a team or run private competitions. 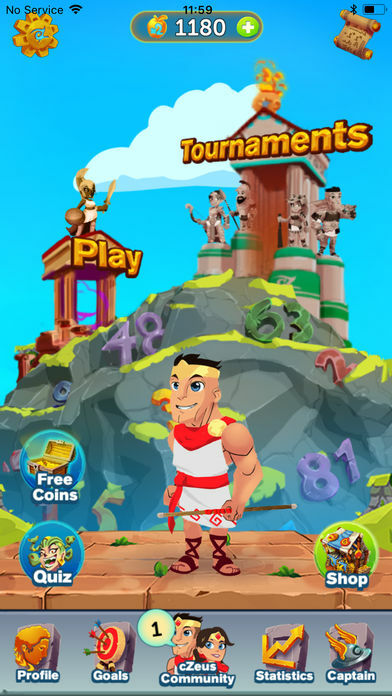 There are also buttons for: “Quiz” that enables children to earn extra coins through answering maths as well as Greek Mythology questions; “Shop” where they can spend their coins to upgrade their character; “Notifications” for in-game information; “Goals” where players check out their achievements in the game and collect their coin rewards; and “Settings” where they can turn sound and notifications on/off. 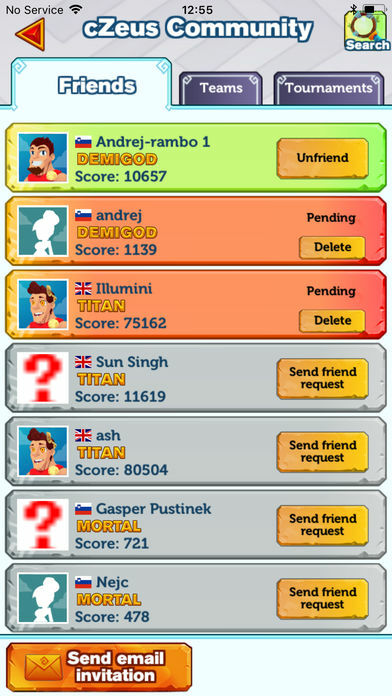 The Greek theme runs throughout the app with names, levels and various general knowledge questions appearing at points. The app also contains in-app purchases for users to buy more coins (which are used each time a puzzle is attempted); however, they can also acquire some coins for free via various means such as regular daily play, cZeusing and completing games, correctly answering quiz questions, etc. They can gain additional coins by liking cZeus on Facebook, subscribing to the newsletter, or watching a video for an advert. Overall, an excellent app, fantastic graphics, and sound directed learning and engaging, worthy of its five-star rating. Practice numeracy, logic, mathematical fluency and problem-solving skills in a fun and refreshing way. cZeus, regularly referred to as the maths equivalent to the crossword, challenges the traditional methods of improving maths with an entertaining, competitive and slightly addictive educational game. Widely praised by academic professors as an absorbing game leading to a deeper appreciation of mathematics. 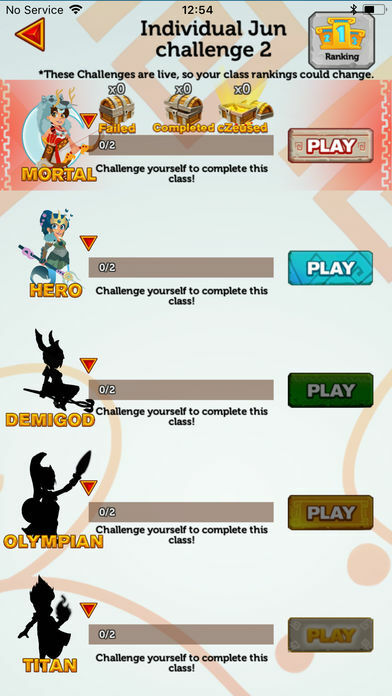 • Take on six different ability classes, from the tutorial Light class, to the expert Demigod & Olympian classes. 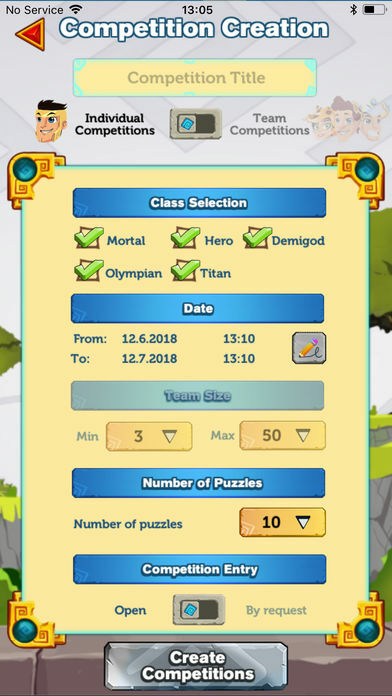 Your final challenge is to reach Titan status, yes you will be a maths wizard by this point! 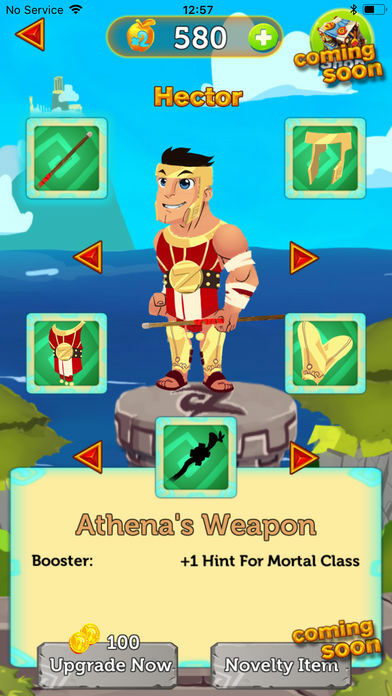 • The Greek mythology theme brings maths to life and gives you a Godlike status. • Refresh your cZeus knowledge with the easily accessible summary of cZeus rules and definitions. • Start playing in the Training Camp, then participate as an individual or as a member of a team in competitions in the Tournament Hall. Join the regular weekly challenges or the public and private competitions. • Earn coins by playing puzzles or watching free promotions. Spend your hard-earned coins on accessories for Hector or Europa, your playing companions, to improve your game experience. • Take a daily quiz on maths and Greek methodology to earn extra coins. • Challenge your friends and family. Become a captain and create your teams, private competitions, or simply request to join one of the existing teams. • For teachers, cZeus Maths Challenger is the ultimate tool for organising entertaining and engaging competitions amongst students and classes locally or internationally. It is also a great way to give homework. • Analyse your performance or your teams’ performance against others, by using the cZeus Maths Challenger comprehensive ranking and statistical analysis tools. • Join the cZeus Community and connect with players around the world. Register via Facebook or email and play on your multiple devices with your gameplay fully synchronised, or just play on a single device. • Remain anonymous by using a nickname, regardless of how you register with us. • With security of young ones in mind, no messaging amongst the players is allowed. • Enhance your gameplay with features such as: hints for elusive puzzles, notes facility to track your guesses, save your favourite puzzles and endeavour to play both game modes Sprint or Marathon.